Where do you stand with your New Year’s resolutions? 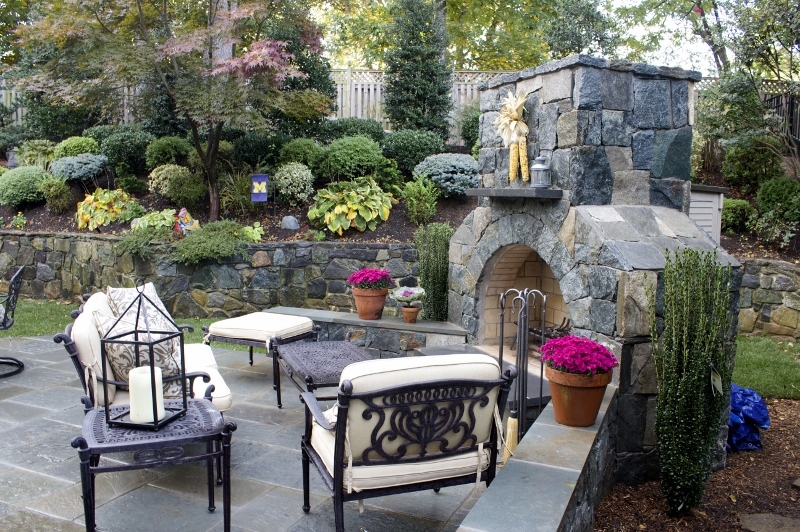 Whether you created ambitious goals for renovating your landscape that now seem overwhelming, or you’ve put off creating a resolution altogether, now’s a good time to get moving on any backyard design-related initiatives for residents of Northern Virginia. As March approaches and seasons change, the weather becomes optimal for beginning hardscape, landscaping, and plant installation projects. By starting the planning stages now, you can better secure appointments with the best landscapers in your area and ensure that your project will be ready to enjoy come summer! Go sustainable. Choose native plantings for your plant installation project that can better thrive in the Northern Virginia climate, now and long-term. At the same time, make sure to choose a mix of plants and flowers that will add color and texture to your landscape. We can help you select a variety of plantings for year-round, seasonal color, and visual interest. Sign up for a year-round lawn maintenance program. This allows you to streamline all necessary lawn care—and you’ll never have to worry if you forget to mow the lawn or water your new garden again. Just set up a regular schedule, and your landscaper will take care of it all for you! Create living spaces for outdoor entertainment. Finally take advantage of all the space your property has to offer with a new patio, outdoor kitchen, and plenty of room for seating and dining. 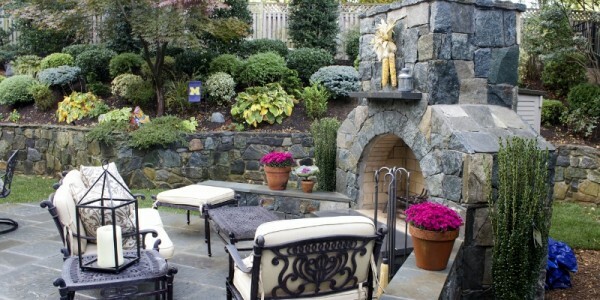 Include an outdoor fireplace in the design so you can extend the use of these spaces. Get any drainage or improper irrigation issues taken care of. Stop letting your flowers and lawn drown in excess water every time it rains! Investing in a new drainage system can help preserve the integrity of your plantings and hardscapes by redirecting water runoff away from them and keeping them protected. Whether you’ve had landscape design ideas you’ve dreamed of for a few years or a few minutes (maybe after checking out this list! ), we can help you expertly implement them into your outdoor space. O’Grady’s Landscape has been serving the Northern Virginia area since 1991, and we’ve seen and done it all. We have a lot more landscape design ideas where this came from—and we have the experience you need to seamlessly integrate them into your property. O’Grady’s Landscape provides professional landscape services in Great Falls, the City of Falls Church, North Arlington, Vienna, and McLean. Contact us today for a free estimate on your next project!